So I have been traveling a lot over the past three weeks, in part to do events for my new book The Next Full Moon, but because I am committed to the world of mermaids and am extremely generous to boot I have some lovely mermaidly things to share with you. 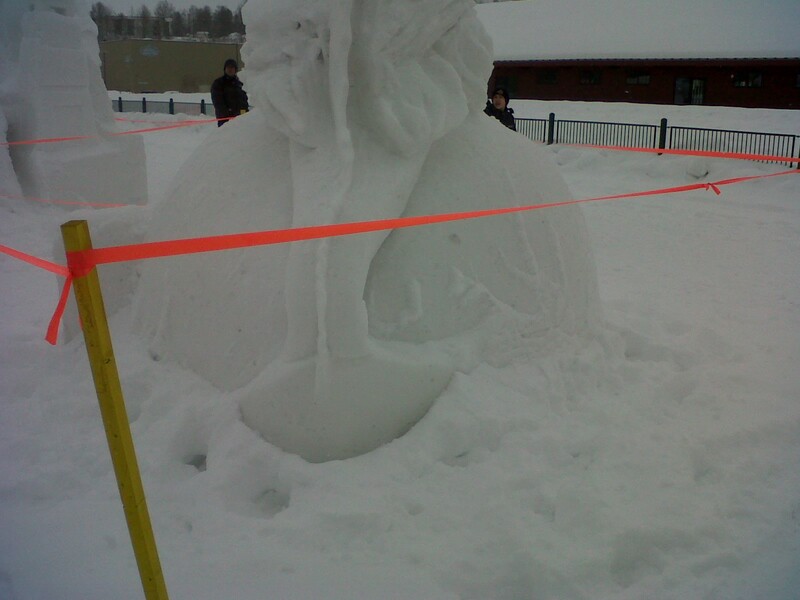 1) Please admire the MERMAID SNOW SCULPTURE below, from Anchorage, Alaska’s Fur Rendezvous Snow Sculpture Contest. 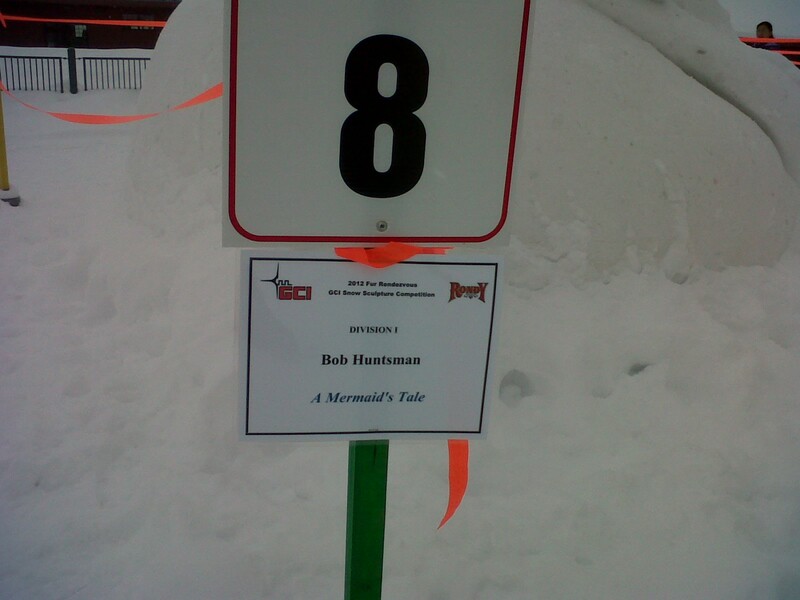 I took these photos on my BlackBerry on Saturday in the snow, after watching the start of the IDITAROD, and I admit they are not the best quality. But still. 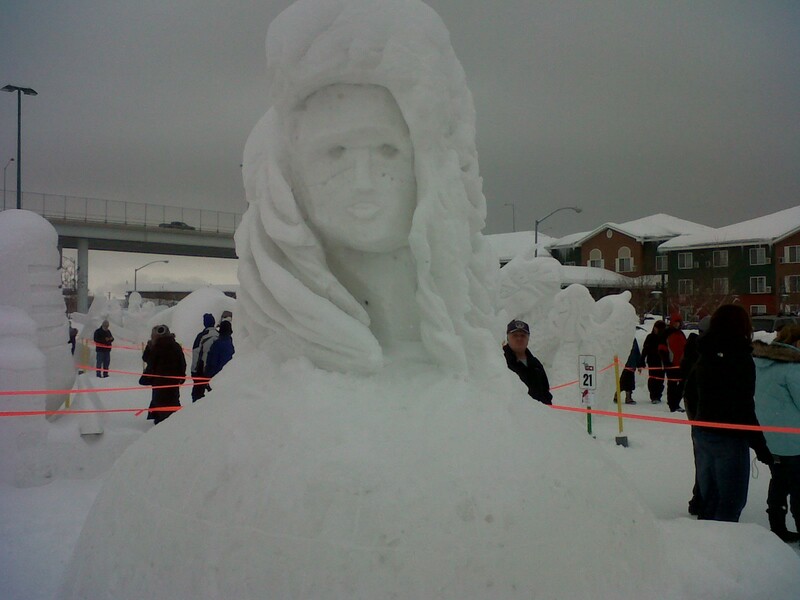 On what other mermaid blog will you find such a glorious mermaid snow sculpture, even if it looks more like a Sphinx sitting atop an igloo? 2. 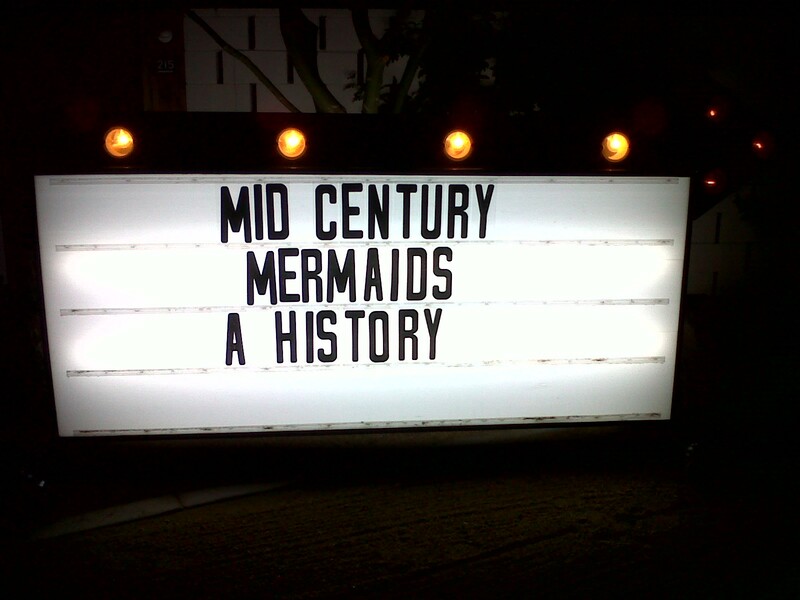 On February 24, I attended Vintage Roadside‘s Mid-Century Mermaids presentation as part of Modernism Week in Palm Springs. Jeff and Kelly (who make up Vintage Roadside) gave a fantastic, comprehensive lecture and slideshow about the popularity of mermaids in the mid-century, with tons of details about aqua shows featuring mermaidly creatures, porthole lounges with mermaids drifting by glass windows, films featuring mermaids, mermaid attractions like Weeki Wachee and Aquarama and Aquarena Springs (and more), and all kinds of mermaids in advertisements and other popular culture around the mid century. It was awesome. I believe yours truly was the only person in the audience frantically taking notes, however, but I prefer to think of this behavior as more glamorous and less nerdly. 3. 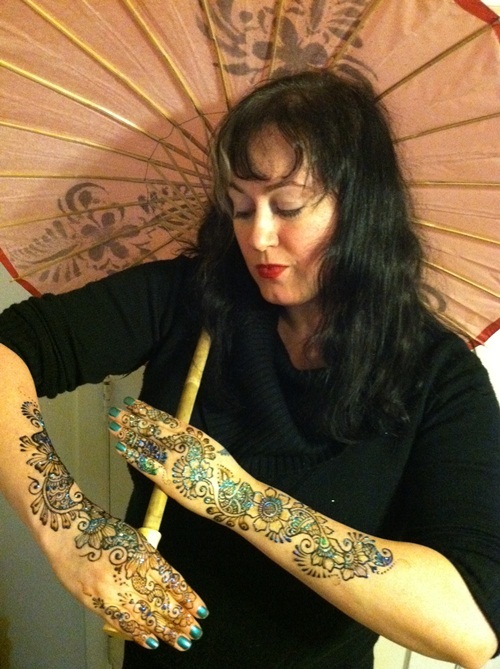 So when I was in Portland, Oregon, a couple of weeks ago, my friend Wendy Rover of Roving Horse Henna decorated my hands and forearms with the most gorgeous henna. She did this freehand (!!!) while we chatted casually in her living room, and then afterwards sprinkled her design with green and blue glitter. How gorgeous and mermaidly is this? Sadly, the next morning I had to scrape off the gloopy henna, and all the glitter with it, but the henna designs have lasted two weeks and counting now. Obviously, you should go find Wendy and get her to henna you, too. 4. And finally, I was in Los Angeles last week and met with my film agent and got to see the latest script for Mermaid, the movie, which I have nothing at all to do with but of course have plenty of interest in. It’s interesting to read a script written from your own book, where parts are completely different and other parts are lifted word for word… All I will tell you right now is that the mermaid characters themselves are not nearly so… NICE… as they are in my book… But we shall see what happens. No guarantee the movie will get made, of course, but I’m keeping my fingers crossed. And so should you. I was born & raised by the ocean, and now I only ever long to be there… Recently though I was guided ( so to speak) to get started with henna- and I am intoxicated by it! It it truly the only other thing that makes me lose time like sitting by the sea does 🙂 I hear lots of people do both?! That might be the right answer ….